Faith Scope: The Bible stated that the stars cannot be counted! For centuries, scientists and astronomers thought they could count the precise number of stars in the universe. Brahe, for example, said there were 777. Kepler claimed the total was 1,005. 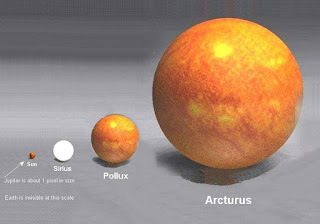 Hipparchus said there were 1,022 stars. Ptolemy raised the number to 1,056. Eventually, scientists, including the great Galileo, concluded that the stars could not be numbered. The Bible said the earth is round and is hanging in space on nothing! It took a long time for science to catch up and reach the same conclusions. Copernicus made the discovery in 1475. But the Bible always knew. Here are two related Bible verses that were written more than 2500 years ago, and more than 1000 years before Copernicus. The Bible described the Hydrologic Cycle! 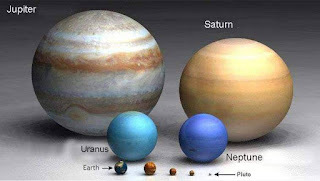 Revealed in the Bible: Job 36:27-28 The water cycle was not fully understood until about 30 B.C. by a Roman engineer named Marcus Vitruvius. Yet every aspect of the water cycle was fully revealed to mankind in 1600 B.C.! The Bible's description is in perfect harmony with modern science. Eccl 1:6-7; 11:3; Job 26:8; Amos 9:6. Vitruvius was 1600 years too late! Wisdom 11:22 Indeed, before you the whole universe is as a grain from a balance, or a drop of morning dew come down upon the earth. Wisodom 19: 18-19 For the elements, in variable harmony among themselves, like strings of the harp, produce new melody, while the flow of music steadily persists. And this can be perceived exactly from a review of what took place. For land creatures were changed into water creatures, and those that swam went over on to the land. We are in a Solar system with Sun as star and this solar system resides in a galaxy called Milky Way. 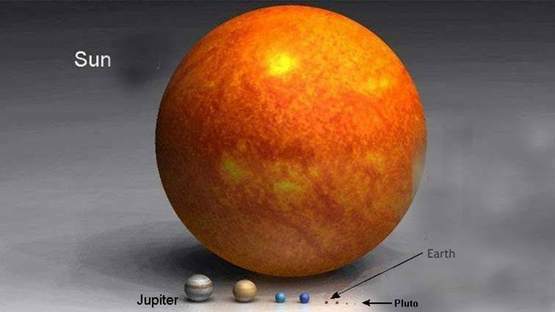 It contains 100,000,000,000 stars (Sun is a star). If our earth dwellers are alone and there is no one outside of earth then each person on the earth can own a solar system from our galaxy itself. 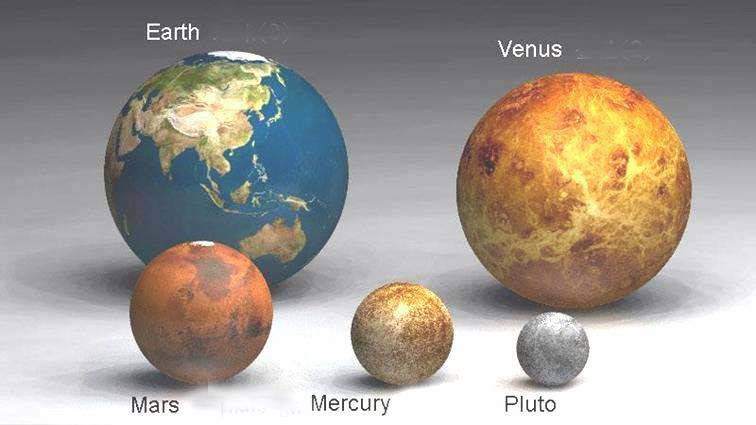 A solar system is the one with many planets in it. There are on the order of 100,000,000,000 (one hundred billion) galaxies in the universe, as far as current telescopes can detect. Some of these galaxies may hold up to 100,000,000,000 stars, but most galaxies probably contain at least 10,000,000,000 stars. Young galaxies under 2,000,000,000 years old may not have formed many solar systems yet, while very old galaxies more than 10,000,000,000 years old may have very few galaxies left. 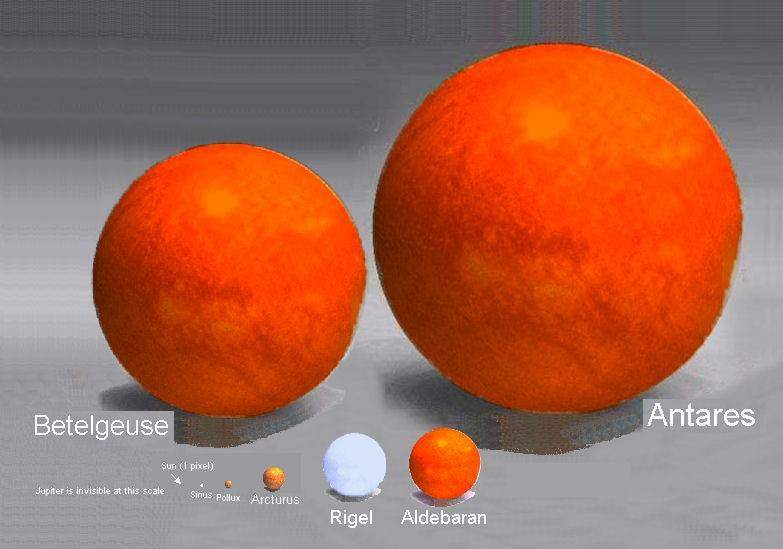 For the galaxies of middle age, as many as ¼ of the stars may possess solar systems. And our universe is ever growing. 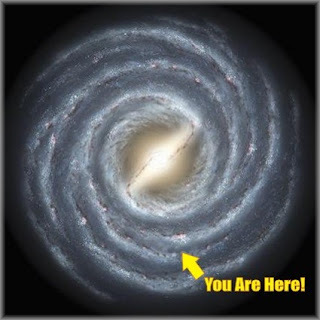 Now let’s see if no one is present in other galaxies to claim their inheritance then we can claim 1 galaxy per person. Who said there is a population problem? How big is our earth when compared to our own galaxy (Milky Way)? 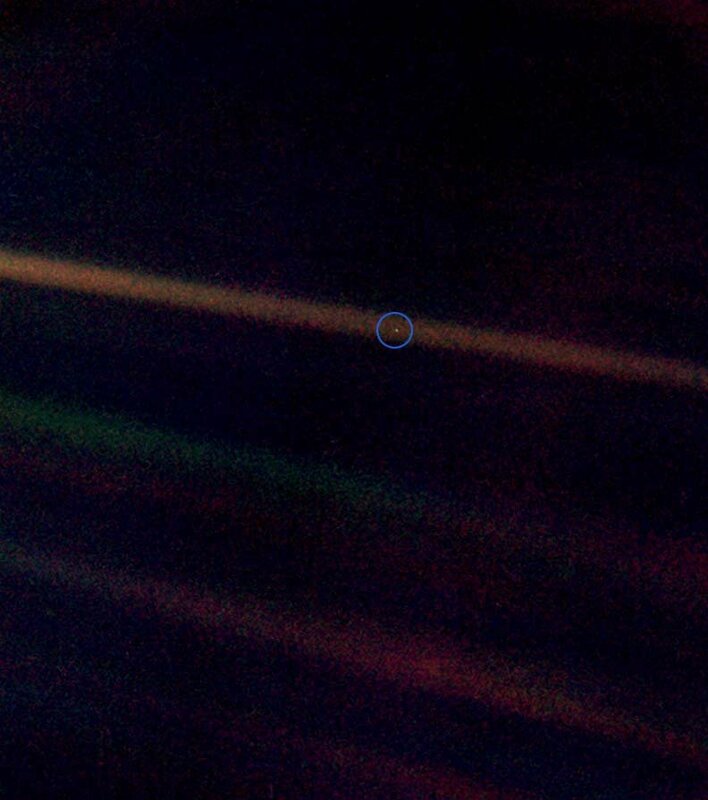 Following picture shows Earth as a dot suspended in a beam of sunlight, situated against the backdrop of the Solar System. The saddest thing is that voyager was only its vantage point on the edge of the solar system. Our earth is an invisible particle when compared whole universe. A light year is 5,865,696,000,000 miles (9,460,800,000,000 kilometers). That's a long way! It takes about 8 min and 17 sec for sun light to reach earth. 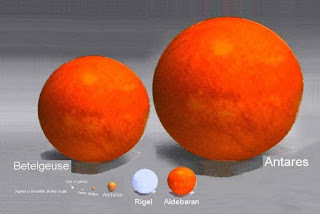 Earth's distance from the Sun varies between about 147 and 152 million kilometers. "We succeeded in taking that picture [from deep space], and, if you look at it, you see a dot. That's here. That's home. That's us. On it everyone you know, everyone you love, everyone you've ever heard of, every human being who ever was, lived out their lives. The aggregate of all our joys and sufferings, thousands of confident religions, ideologies and economic doctrines. Every hunter and forager, every hero and coward, every creator and destroyer of civilizations, every king and peasant, every young couple in love, every hopeful child, every mother and father, every inventor and explorer, every teacher of morals, every corrupt politician, every superstar, every supreme leader, every saint and sinner in the history of our species, lived there - on a mote of dust suspended in a sunbeam."